It is reasonably common for an employer to seek to legislate a reduction in employment standards upon an employee against his or her consent. Sometimes this is objectively reasonable and sometimes it is not. In unfair dismissal cases, there are two very similar but quite distinct legal implications of this context. 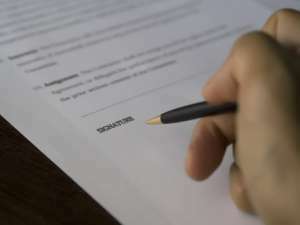 The first is whether the conduct of the employer constitutes the repudiation of the employee’s contract of employment, which if so can constitute the dismissal of the employee when he or she refuses to accept the changes. This arises, fundamentally, from the law of contract. The second is whether the conduct constitutes a constructive dismissal, which is more about the employment relationship than the employment contract, and the Fair Work Act has express provisions about what it calls a “termination at the initiative of the employer”. The subtle way in which these distinct legal principles interact is on display in this very fine recent decision of the Fair Work Commission. “In determining whether Mr Constable was “terminated on the employer’s initiative” I take into account that this expression is concerned with the termination of the employment relationship, not the employment contract. 25 For reasons that follow, the conceptual distinction between the related but distinct concepts of an employment relationship and an employment contract is not determinative in this matter. Mr Constable contends that 4WD Accessory Wholesale’s conduct in the period prior to 25 May 2018 was a termination of his employment relationship in that the employer repudiated his contract of employment. 4WD Accessory Wholesale say that it made no decision to dismiss Mr Constable, that it did not intend to end its employment relationship with Mr Constable and that it did not, by conduct, terminate the employment contract by repudiation. It says that Mr Constable terminated the employment relationship by handing in the company vehicle, phone and keys on 19 May 2018 and thereafter not making himself available for work upon the restoration of his health. If 4WD Accessory Wholesale did in fact repudiate Mr Constable’s contract of employment it would be open for the Commission to find that it engaged in conduct that terminated the employment relationship on its initiative. Mr Constable relies on two primary issues to advance his repudiation submission. Firstly, the demands made on him to sign a new contract of employment (including changes to his commission arrangements) and secondly, changes to his employment duties upon the employment of Mr Petherick. Mr Constable says that either of these factors individually or in combination were acts of repudiation. He says that his letter to Ms Pentland of 25 May, or (in the alternative) his handing back of the store keys, phone and motor vehicle on 19 May was acceptance of the employer’s repudiation that then brought his employment relationship to an end. Were the demands for new contracts of employment acts of repudiation? Although the evidence establishes that Mr Formato did not intend to end the employment relationship between his company and Mr Constable, repudiation does not require intention. 29 The evidence establishes that 4WD made multiple requests of Mr Constable to agree to a new contract of employment. Five versions of a new contract were put to Mr Constable in the space of nineteen months (September 2016, November 2016, January 2017, February 2017 and April 2018). On each occasion Mr Constable pushed back on the proposal, and provided his reasons. That being so, with a degree of reluctance, the employer did not (and could not) unilaterally impose its new contracts of employment on the relationship. I do not consider that the mere act of propositioning new contracts of employment constituted a repudiation of the existing contract of employment. Were the employer’s demands for new contractual commission arrangements acts of repudiation? Having regard to the terms of the 2015 contract and Mr Constable being employed as a sales manager, I find that commission payable on sales was a fundamental and “essential” 30 term of his contract with 4WD Accessory Wholesale. The final three new contracts submitted to Mr Constable (January 2017, February 2017 and April 2018) each proposed a new commission structure on sales. Although differing in material respects, I find that each was likely to significantly reduce in at least both the short and medium term the remuneration payable to Mr Constable, when compared to his 2015 contract of employment. The proposed changes were not simply to the rate of commission but were structural – commission would be payable on a narrower base of sales (excluding Hayman Reece products in particular, which accounted for nearly 50% of sales) and also a threshold of sales ($50,000) would be applied before any commission would be payable. I accept Mr Constable’s evidence that the 26 April 2018 proposal put to him was likely to reduce his commission payments by about $10,000 to $15,000 per annum, or at least two-thirds. Further, commission payable to Mr Constable represented about 17.5% of his total cash remuneration in his last year of employment. I find that the employer’s April 2018 proposal would have been likely to reduce his overall annual remuneration by about 15% in the short to medium term. Whilst he would have had (with the business restructure) a greater amount of time to generate Caddy sales (and commission), the prospect of Mr Constable reaching an equivalent let alone higher level of dollar commission was so remote and speculative that it could not reasonably be seen as an offer with balance or equilibrium. Rather, it was a deliberate decision by Mr Formato to reduce remuneration payable based on his view that Mr Constable was no longer deserving of commission on all sales. I find that Mr Formato was intensely frustrated that Mr Constable had refused to accept any of the employer’s new commission proposals. I also find that the adverse impact of the commission proposals were the primary reason why Mr Constable rejected the new contracts of January 2017, February 2017 and April 2018. I find that this frustration strained Mr Formato’s relationship with Mr Constable and contributed to the decisions Mr Formato made in 2018 to press on with his contractual demands, to restructure the business, to recruit a Business Manager to whom Mr Constable would report, to alter his duties and to speak to Mr Constable in the rude and demanding terms he did on 7 February, 19 March, 6 April and 27 April. On any objective analysis, the actions of 4WD Accessory Wholesale, had it implemented the changes to commission arrangements in the 26 April 2018 contractual proposal, would have been so egregious and profound as to represent a repudiation of Mr Constable’s contract of employment. However, they did not do so. Until his employment ceased the employer continued to pay commission on all sales on the contractual terms despite Mr Formato’s frustration and insistence that a new contract with different and less favourable terms (to Mr Constable) be executed. In these circumstances, I do not find that the employer repudiated Mr Constable’s contract of employment. Were the changes to Mr Constable’s duties consequent on the business restructure acts of repudiation? The business restructure implemented by Mr Formato in March 2018 concerned Mr Constable in three ways: it altered his duties by limiting his sales activities to Caddy products; it altered his managerial and supervisory responsibilities by limiting his supervision to persons installing Caddy products only with no broader human resource or store managerial responsibilities; and it altered his reporting responsibilities by requiring him to report to a new Business Manager Mr Petherick. The evidence before me is that Mr Formato started to plan this restructure as early as January 2018. The evidence before me is also that at no time was Mr Constable consulted on or advised about the restructure or its impact on him until the day prior to its implementation, when it was a fait accompli. Even though he had provided the employer with Mr Petherick’s CV in good faith, Mr Constable was never informed that Mr Petherick would be recruited to work in the very store he operated and be handed a large swathe of Mr Constable’s management responsibilities. I am satisfied that these were significant changes in Mr Constable’s day-to-day work activities when comparing his pre-restructure work with his post-restructure work. Although Mr Constable considered that he had been demoted and had grounds for believing that to be so, this is a question that needs to be determined objectively, not subjectively. The first point of reference is Mr Constable’s 2015 contract. Mr Constable was employed as a full time “Sales Manager”. After the business restructure he continued to be employed as a full time Sales Manager. Nor did Mr Constable’s contract specify a particular product he was contracted to sell. 32 In fact, at the time he entered his contract in September 2015 the business was in its infancy and was selling neither Caddy products nor Hayman Reece products. It was within the right of the employer to alter, at its discretion, which products Mr Constable as a sales manager would be asked to sell. Nor was there any term in his contract that provided the right to supervise other employees or certain types of employees. The question which then arises is whether, because Mr Constable was in fact performing managerial and supervisory functions and selling a broad range of products in the period immediately prior to the business restructure, these were established as terms of his contact. I think not. There is no evidence before me of any contractual representation in the period that followed which provided an enforceable right for Mr Constable to sell one or other of the company’s products, or supervise employees or manage the store. It is well established that an employer has the right to organise its business affairs as it sees fit so long as it acts according to law. Absent any contractual right to manage the store, manage employees or sell a particular range of products, the impact of the business restructure on Mr Constable was practical, not contractual. Further, whilst the employment of Mr Petherick as an overarching Business Manager was, in practice, a major change in the workplace dynamic encountered by Mr Constable, there was no contractual barrier to the employer hiring a person in that role. Mr Constable’s contract (clause 1.3) specified that he would report to Mr Stafford and Mrs Formato. Reporting to a person more senior in the business hierarchy, even in a newly created position, was not inconsistent with his employment contract. The business restructure had real and significant adverse practical implications for Mr Constable. He considered that he was being marginalised and constricted, and in fact he was. However, I do not consider that Mr Constable was, in a contractual sense, demoted as a consequence of the restructure. Creating a new managerial tier and employing a person at a level above an existing manager but not denying the existing manager their right to perform their contractual duties is not a demotion. Given this finding, the considerations relating to demotion under section 386(2)(c) of the FW Act do not apply. Nor do I consider that restricting Mr Constable’s sales activities to Caddy products or reducing his supervisory or managerial duties was a repudiation of contract. For these reasons, I do not find that 4WD Accessory Wholesale repudiated Mr Constable’s employment contract or that the employment relationship was terminated on the initiative of the employer on account of repudiation. A related issue is whether the employer brought Mr Constable’s employment relationship to an end on its initiative other than by repudiation of contract. I think not. The disagreement between 4WD Accessory Wholesale and Mr Constable concerned the contractual issues (which primarily concerned commission payments) and the April 2018 business restructure. Although Mr Constable disagreed with the decision to restructure the business in April 2018 and was not consulted on it in any meaningful way, the decision was open to Mr Formato and was genuinely made. Mr Formato had commercial reasons to want to separate Caddy sales from other sales. As a business owner, it was within his province to structure his business in the manner he saw fit, including hiring a new business manager in an overarching role. I do not consider that the April 2018 business restructure was a termination at the employer’s initiative. Was Mr Constable forced to resign because of the employer’s conduct? Two issues arise when considering whether Mr Constable was dismissed within the meaning of section 386(1)(b) of the FW Act: did Mr Constable resign; and if so, was he “forced to do so because of conduct, or a course of conduct” engaged in by 4WD Accessory Wholesale? I conclude that Mr Constable did resign from his employment. I find that this occurred on 19 May 2018 when he returned the store keys, company phone, motor vehicle keys and the company motor vehicle. This was an act by an employee demonstrating an intention to no longer continue working in the business. His subsequent conduct that day and over the following week supports this conclusion. He spoke to Mr Yates and Mr Spaglonetti that morning indicating that he was no longer working in the business (albeit making it clear at least to Mr Spaglonetti that he was driven to this by the employer’s conduct and was not “resigning” of his own free will). He emailed Mr Formato that day in a downcast tone advising that his employment was finished (“no other choice but to return them”). That email indicated that he (Mr Constable) would follow up with further details of his stance. That follow up was the meeting with and subsequent letter to Ms Pentland on 25 May. I find that Mr Constable’s employment (in the sense of both the employment relationship and his contract of employment) ceased on 19 May 2018. This was also the day up to which he was paid by Mrs Formato. The legal principles governing the application of section 386(1)(b) of the FW Act are well established. “to force (verb): to cause or produce by effort; to attain by strength of effort”. The word “forced” suggests the existence of conduct of such a character which compelled the outcome in the sense that the outcome was at least the probable consequence of the conduct such that an effective or real choice was denied. Whether an employee is “forced” to resign by the “conduct or a course of conduct of the employer” is a question of fact. The disrespectful behaviour of the employer towards him over the preceding four months. I am satisfied that each of these were active and operating factors in the decision Mr Constable made when he returned the keys, phone and motor vehicle on 19 May. The first three factors relate to the business restructure. I have found that the business restructure was not, in a contractual sense, a repudiation of Mr Constable’s contract. This does not however make the restructure incapable of being conduct that “forced” Mr Constable’s resignation. I have found that the restructure was hostile to his interests, provided reasonable grounds for him to believe that he was being marginalised and was undertaken without any consultation. A reasonable employer showing respect to an employee who was, in a practical sense, its manager of an arm of their business would have made Mr Constable aware of the business case for the restructure, if not sought his views on its implementation. Mr Formato could have done so but chose to do neither. In those circumstances the employer cannot now reasonably argue that its conduct did not produce a consequent reaction by the manager. As with the laws of physics, action breeds reaction. “My problem all along was the change in the commission structure”. This factor, together with Mr Constable’s refusal to yield to those demands, is also central to understanding why Mr Formato undertook a business restructure that was hostile to Mr Constable’s interests and pressed forward with his proposals to materially reduce Mr Constable’s commission payments. I have found that these contractual demands were not a repudiation of contact because they were made but not implemented. However this does not make them incapable of being conduct that “forced” Mr Constable’s resignation. The demands made were adverse to Mr Constable’s interests and were pursued relentlessly by Mr Formato. In doing so, Mr Formato (together with Ms Pentland) placed unreasonable and excessive pressure on Mr Constable who simply wanted to work according to his contractual terms. I accept Mr Formato’s evidence that he gave Mr Constable time to think about his response to the demands, including a seven day period after 27 April 2018. However, Mr Formato did not indicate any willingness (prior to 19 May) to contemplate the maintenance of the existing commission arrangements. Quite the contrary. Mr Formato made it clear that a new contract had to be signed, that that was non-negotiable if Mr Constable wanted to remain in employment, and that his commission payments were too high and needed to be reduced. His email of 26 April 2018 submitted his latest proposal “for signing”, not for negotiation. The email sent by Mr Formato to Mr Constable on 28 May 2018 is revealing. By this time Mr Constable had made it very clear (in writing) that his return of the keys was final and had been based on legal advice that his contract had been repudiated. Mr Formato, recognising that he had lost a manager, adopted a more conciliatory tone. Yet in addressing the commission issue he said “we have had to revise the commission plan, (please refer to your contract over a year ago that was given to you and discussed with you in my (sic) at that time) this was always intended as a result of the change in business” (my emphasis). These are words of a business owner who had made a firm decision over a prolonged period to revise the commission plan notwithstanding Mr Constable’s contractual terms. Whether Mr Formato had a business case for asserting that the commission payments needed to be changed is not to the point. The issue is whether his demands and assertions, particularly in the context of the persistent way in which they were put, was conduct that forced the manager’s hand. I find that it was. I accept and take into account that Mr Formato did revise his commission offers, and that the 26 April 2018 offer was marginally less adverse to Mr Constable’s interests than the February 2017 proposal. However, the April 2018 proposal still represented a profound adverse outcome in at least the short and medium term when compared to his 2015 contract. The fifth factor (the disrespectful behaviour of the employer over the preceding four months) is also made out. I take into account that Mr Constable is a man of mature age and, as a manager in a family business, should expect a degree of robustness in dealing with the business owner especially when being called to account for sales performance. However, I accept Mr Constable’s evidence that Mr Formato was fiery and abusive in their exchanges (particularly concerning the contract), made unreasonable references to Mr Constable’s family and belittled and disrespected him. I also take into account that Mr Constable, having been provoked in this way, responded rudely in return and also displayed to Mr Petherick his disrespect for Mr Formato. Considered objectively and in isolation, and in the context of a manager/owner relationship, I do not consider that this level of disrespectful behaviour to be sufficient to have “forced” Mr Constable’s resignation. However, in the context of the other factors in play it weighs in favour of such a conclusion. Mr Constable did not seek to retract his resignation. Rather, he reiterated it, even after reading the more conciliatory tone of Mr Formato’s email of 28 May in which the employer indicated that it still had a job for him and was willing to “listen to” his concerns. By that point, Mr Constable simply wanted to negotiate a settlement sum. When viewed objectively, I conclude that on 19 May 2018 Mr Constable had no effective or real choice but to end the employment relationship. I am satisfied that whilst termination of the relationship was not intended by 4WD Accessory Wholesale that was the probable result of its conduct. I am satisfied that this conclusion is open simply by reference to the course of the employer’s conduct in the form of persistent demands it made that Mr Constable enter into new contracts of employment with a substantial and material reduction in his commission payments. Mr Constable exercised his right to reject those demands; but having communicated that decision the employer persisted in pursuing its view that the commission payments were too high, were being paid undeservingly and needed to be reduced. Given that the remuneration he received (including commission) was of significant importance to his contractual entitlements, the pressure placed on Mr Constable was immense, particularly when told this directly by the business owner. By making it clear to Mr Constable that signing a new contract was non-negotiable and in the same context pursuing its demands for reduced commission, Mr Constable was entitled to put one and one together and conclude that agreeing to materially reduce his remuneration was necessary to continue working in the business. His choice to remain in employment or to resign was thereby not a real or effective choice. It was a ‘claytons’ choice, one tainted by the pressure to agree to disadvantage his own interests. Although Mr Constable had time and space to consider and take advice on his options between 27 April and 19 May the material facts that were denying him a real and effective choice remained unaltered over that period. I find that on 27 April 2018 Mr Formato gave Mr Constable time to consider whether he would enter into the contract of 26 April 2018, not time to re-negotiate the employer’s demand. Although Mr Formato had said on 27 April that he would listen to his concerns, the fact is that Mr Formato (and Ms Pentland) had already heard Mr Constable’s concerns at having his commission reduced, and yet had rejected the idea that his 2015 contract could stand. In arriving at this decision I do not consider it necessary to take into account the conduct of the employer relating to the business restructure. Were I to do so, my conclusion would be more starkly made in the sense that the combination of the contractual demands (item 4 above) and the practical effect of the business restructure (items 1 – 3 above) and the way Mr Constable was treated (item 5 above) were overwhelmingly operative factors in his resignation for it to be a forced dismissal. It was no coincidence that the contractual demands were re-agitated by the employer on 19 March 2018 shortly after the business restructure had been decided and Mr Petherick had been interviewed for the new position. Having decided that the applicant had been dismissed, His Honour moved on to deals with the merits of the matter.